this thread intents to collect "House Rules" that could possibly be used by the members in the games we play(Mainly HPS/JTS but if you got something for the other games lease post it too) to enhance the gameplay. It should be clear as crystal that any house rule should be agreed upon before the battle, just like it is with the Optional Rules within the game. It's obvious that the battles of the Napoleonic Wars weren't fought till the last men so agreeing to some sort of casualty limit that marks the end of the game or at least the begin of the withdrawal of the side that reached the limit seems appropriate as it would also alter the way the battle is fought(Not simply a head-on rush but a more careful approach to the battle to preserve your force). In general casualty rates of not more than 30% were reached in most big battle of the Napoleonic Wars, but what should be consider is that smaller actions did reach higher sometimes much higher casualty rates, and so if playing only a part of a larger battle, corps vs corps, division vs division or even smaller engagements the limit should be set higher or even no limit should be used. Now the actual casualties within the game incorporate all losses to a unit in terms of combat effective men, that means also temporary losses that are not dead, wounded or captured. That is why I suggest to allow a casualty rate of +1/3 above of the historical casualty rate, that means the historical 30% lead to 40% max casualty rate within a scenario. Combat in the dark was an exception in the Napoleonic wars not the rule, a field battle should be stopped after dark and combat should be restrict to combat inside a city or storming a fortress(like Wellington did on the Peninsular in some cases like Ciudad Rodrigo and Badajoz), these actions should also be stopped if one side retreats and leaves the city/fortress to the other side. At best skirmishers used as picket line could initiate small skirmishes to gain or protect worthy positions on the battlefield but no bigger action should occur. Night movement should be restricted to maneuvering your forces, combat should not be initiated unless the exceptions listed under Night Combat fit. - "Use Pioneer type units in their historical usage." The intention of pioneer units being able to form skirmishers is to counter the unrealistic high losses that were sustained when being fired upon. With the ability to deploy into skirmisher such units can now repair a bridge and sustain less losses. Using them in a historical way means that the skirmishers won't be used as real "combat skirmishers" but to work on bridges. They could also be used to simulate earth works around artillery positions, single buildings, villages, trenches, bridges, fords, crossroads, gates and castles. They could also be used to simulate crews for HQs, ammo dumps and sentries. Overall the use in a defensive role seems acceptable while they shouldn't be used as offensive skirmishers. Is this wide use of pioneers acceptable? - "No recon by leaders behind enemy lines. Leaders should stay within the command range of at least one of their units." This is to prohibit the gamey habit of doing recon by leaders. The problem is that no unit is as fast as leaders so there is no way to stop this kind of gamey recon unless leaders have to stay close to the formation they are leading. Is the limitation to the command range acceptable? - "Units have to break down as far as possible into skirmishers when entering woods to do combat, this does not apply when the unit is only passing the wood on a pike, road or path. Skirmishers can move as usual while the parent unit can only move 1 hex." Generally combat wasn't conducted in woods, certainly not in massive formations as it was done on the open fields, grasslands and open areas. This applies to infantry, cavalry and artillery, no matter whether they were linear, light, guard or any other unit type. Primeval forests, woods, copses, thickets, shrubs, etc. were a big problem and could even be a barrier for the movement such formations during the Napoleonic wars. They used roads, paths, gaps and glades to march into the forest but didn't march as a formed unit through such terrain. Is the demand for a maximum breakdown and the slowing of the parent unit acceptable? Now that is what comes to my mind currently, any additional rules or further notes to those listed above will be happily incorporated into this post. Also discussing these rules is requested to make sure these rules are in the best possible way collected. Last edited by Christian Hecht on Fri Jul 14, 2017 4:18 pm, edited 17 times in total. I also think that attacks on fortifications could be allowed during night turns as this was usually the norm as well as once into a fortified city or town the fighting would not just stop usually the fighting would continue till one side either withdrew or surrendered. My understanding is that usually combat inside a city was not wanted as the combat usually got out of control. I'm sure there was combat inside a city but wasn't his the exception? Do you know a good example for city combat? Do you mean real maneuvering to setup for next days battle or just movement down roads & trails. I know that vanguard or rearguards could start there business long after or before sunset/sunrise. but did whole corps or divisions move around at night to be in a better position for the next battle day? I am talking about maneuvering for next day battle for example. I would suggest that all maneuvering behind the front should be authorized. 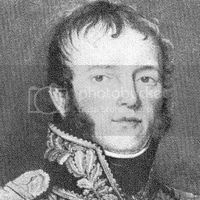 I believe Wellington attacked most of the Spanish fortresses after dark so giving his troops the chance to gain ground and reduce casualties before getting to the breaches. Once in they would have to work their way through the city eradicating it of the enemy. Fighting would not just stop with the storming of the walls so once in the fortress or city fighting would continue till the invader or defender won. So as I was pointing out, that is when night turns could come in useful in the storming of fortresses. examples Badajoz, Ciudad Rodrigo. Plus I would also mention that pickets put out to protect their main body of troops would jostle for position during the night so why not allow that in a game. OK so maneuvering should be allowed also long as that doesn't end in an offensive action similar to a field battle. Exception to this would be assaults on a city and/or fortresses that can be continued into or even start at night, but not open field battles. And it would be reasonable to allow Skirmishers to act in front of the army as pickets, preferably within the range set by the "Rules for MOE 4". I have adjusted the rules in the first post. This is the R&H (Realism&Historicity) House Rules. I must to note promptly: they fit not for everybody but for the "gourmand"-wargamers. Nevertheless, I guess, some clauses could be useful for the common using too. Myself, the Russian Corps' MP teams and our opponents (Tirailleurs et Dragons! mostly), we always play using this set of rules during 2 years already. So, it is the "tested by time" one. But even now we have to add new corrections and clauses. When we play the special R&H scenarios, we use custom OOBs with Staff AdCs for the command-control functions (i.e. Time-Space factor), Artillery and Engineer/Pontoon Parks, that is why there are special rules for them. b) only Major AdCs may lead any units as their Command officers. e) Artillery, Art.Parks and Trains may not move through FOREST hexes without ways, but may move through Orchards. Infantry battalions of 800 men and more must use Extended Line feature. g) Cavalry cannot charge at the Night time. 5. Infantry/or Artillery may not shot across their skirmishers are in front of the infantry/or artillery unit. 7. If any routed troops without a leader find themselves behind the enemy front line or enveloped in open, they must to capitulate and draw themselves into a location indicated by an opponent. garrison (a troop/company of infantry or troop/squadron of cavalry, or a wagon-train). 9. Once a unit (except Guards) has lost 50% of their strength, it can no longer engage in offensive actions. 10. Engineer/Pioneer/Sapper/Pontoneer units' river-crossing work is possible with the presence of their Engineer/Pontoon Parks only. 11. Night actions. At the visibility of 2 hexes (200m) all fighting forces must be disengaged. At the visibility of 1 hex (100m), put all troops on the night bivouacs, and let to move nobody but regimental supply trains and very small forces of the night sentinel posts and piquets (Light Inf. company, Cav. platoon). Exception: the night retreat from a battlefield. 12. March to the Sound of the Guns (by Roy Parcel): The MTSG's rule is triggered as soon as greater than 10 batteries on both sides have fired at troops on either side (including the opposing guns). visibility is under 5 hexes. Range of the leader to the imaginary centre point of the Sound of the Guns is ( we will all have to use our best judgement here) 0 to 30 hexes, 60 to 100 hexes, and 130 to 170 hexes - The ranges in between these numbers are considered dead zone where the sounds of guns and battle cannot be heard. VR's note: it is not understandable, why those ranges in between these numbers have to be considered as a dead zone? No unit may MTSG's if the range is greater than 170 hexes. b) officers within the next two audible ranges (60-100, 130-170) will have to make a successful die roll (using the PBEGames on-line die roller). This is made using a 6 sided die, with the 60-100 range successful on a roll of 1-3, and within the 130-170 range successful on a roll of 1-2. Dear Christian, monsieur le lieutenant, I offer you to try some R&H scenario with the rules practically. This is the real fun for a real fan of the historical way of wargaming. I really like these rules and think they could work well. It seems they add a great deal of realism to the games. Yep but aren't there only very few R&H scenarios? Chris, you think about the H&R project. It is another story. We have 10 custom R&H scenarios (see below) + the whole Eckmuhl Campaign in one scenario (9 days) + I can re-edit OOB and PDT files for to play any of the HPS scenarios with those rules. 1. The battle of Vilkomir, June 28th, 1812. Historical (65 turns, Medium). The rearguard action of the Russian 1st Corps under command of GL Wittgenstein against the advancing Marshal Oudinot's II Corps. The Russians perform their scheduled retreat to Dunaburg. GM Kulnev's rear guard attempts to hold back the French advance-guard. Can Wittgenstein hold out until the rest of his march columns and rear guard troops arrive, or not? 2. The Battle of Saltanovka, July 23rd, 1812. Historical (58 turns, Medium). I guess, you are familiar with the battle. It is just the R&H interpretation. 3. The Battle of Kakuvyachino, July 26th, 1812. Historical (48 turns, Medium) . After the day of battle at Ostrovno on July 25th, the French advance guard under command of Marshal Murat brings up reinforcements for the coming day's battle. The Russian rear guard get reinforcements too, and make the attempt to hold back la Grand Armee, in the hope that Bagration's Second Army may still be able to join with Barclay's First Army at Vitebsk. 4. The Battle of Yakubovo-Klyastitsy, July 30th - 31st,1812. Historical ( 120 turns, Large). Wittgenstein had planned to cross the Dvina at Druya and fall on Oudinot's rear. He had learned that Macdonald was about to cross the river at Jakobstad. Apprehensive that Oudinot and Macdonald might mount a combined operation against him, Wittgenstein turned around and moved toward Sebezh. On his way there, he got information that Oudinot was headed in that direction as well. Wittgenstein decided to attack at once to clear his own way to Sebezh. Oudinot still had no idea where Wittgenstein was when he arrived in Klyastitsy on the afternoon of July, 30th. When Wittgenstein learned of the French positions, he ordered GM Kulnyev's advanced guard to attack without awaiting further reinforcements. The French advanced posts were chased out of the woods before Olkhova at 5:00 p.m. by Kulnyev's forces as he moved onto the small plateau overlooking Yakubovo . 5. The Battle of Pruzhany, August 8th, 1812. Historical (52 turns. Medium). South of the main army, Prince Schwarzenberg's Austrian and GD Reynier's Saxon Corpses maneuvered against the Gen.Tormasov's 3rd Russian Observation Army. They were anxious to avenge the defeat at Kobrin of July, 27th. The advancing Austro-Saxon forces were beginning to threaten Tormasov's magazines in Pruzhany, so he adjusted his maneuvers to increase the level of pressure against the enemies in an effort to slow their advance. Both sides sent out numerous reconnaissance forces to probe ahead of their advancing columns. 6. The Battle of the Berezina, October 20-23, 1812. What if? (288 turns, Large). So, what if: Napoleon left Moscow a month earlier; Admiral Chichagov came with his army on the banks of river Berezina a month earlier too, far outpacing his opponents in the Volynia; the XI corps of Marshal Augereau came to Russia right after the corps of Marshal Victor, and while the latter holds back the tide of GL Wittgenstein and Shteingel's troops on the left, and the Prince Schwarzenberg's unreliable Austrians and weak Saxons of GD Reynier related struggle with the forces of GL Osten-Sacken on the right wing, the corps of Augereau and quite inexperienced military forces of the Duchy of Lithuania - the last chance of the Emperor to retain the Berezina crossings and for salvation of the whole La Grande Armee (also the Victor's IX Corps is involved there at the last day of the battle). 7. The battle of Chashniki, October 31st, 1812.Historical (100 turns, Large). 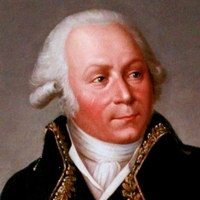 After Marshal St.Cyr left Polotsk, the French were no longer able to hold the Dvina line. II Corps withdrew to the Ulla, its main force at Chashniki, the VI Bavarian Corps - in the direction of Vilna. Thus, at the very moment when Napoleon began his retreat from Moscow, the situation called, above all, for ensuring the security of the line of retreat in the rear of the French main army, and took on a dengerous complexion. The safety of the French army rested solely on Marshal Victor's IX Corps in Smolensk - the only major formation along the line of retreat. After wounded at Polotsk Marshal St.Cyr had been put out of action, and with Victor on the scene, there was no any question about who was in command. The two corps united between October 29th and 31st. GL Wittgenstein's troops crossed the Dvina on the 24th, took up the pursuit and arrived in front of Chashniki on 31st. Though, accidentally misdirected Legrand's division and IX Corps cavalry were not present, Victor knew he had to engage Wittgenstein, but he wanted to act with full strength and postponed his advance to the next day. Wittgenstein, however, unaware of Victor's presence in the area, attacked II Corps. 8. The Battle of Fridrichschtadt-Dahlenkirchen, November 11th, 1812. Historical (56 turns, Medium). The attempt of GL Paulucci with the Riga Corps go on the offensive and to defeat Marshal Macdonald's X Corps. Given the weakness of his troops, Macdonald did not attempt to lay siege to Riga, leaving for the Russian troops a chance to mount a major offensive operation against the enemy, who, in their observation role, were widely dispersed. This presented the Riga Corps with opportunity to throw the X Corps back across the Aa river, and then make advancing against Mitau. 9. The battle of Volkovysk, November 16th, 1812. Historical (56 turns, Medium). When FM Schwarzenberg heard of Admiral Chichagov troop's departure to get in touch with GL Wittgenstein's Corps, he marched on following him. Reynier's VII Corps had been left behind near Volkovysk to cover against the GL Osten-Sacken's Army of Wolynia approach. Learning the Austrians had crossed the Bug river, Osten-Sacken followed at once, reached Yzabelin on the November 14th, and faced Reynier, who held Volkovysk. Sacken took Reynier by surprise and captured the town in a night attack, but he was unable to dislodge the enemy from his main position on the high ground north of Volkovysk. Renewing his attack on the 15th, Sacken suddenly realized that he was in a precarious position: Schwarzenberg turned around to lend a hand to his ally and appeared at Volkovysk on the 16th. 10. The Battle of the Tagliamento River, September 28th, 1813. What if? (156 turns, Large). "Hannibal ante portas!" The Austro-Russian invasion of Italy in September of 1813. Marchall Murat at the head of all combined Italo-Neapolitan forces. So, the scenarios for any smack. Isn'it? Interesting, if this concept can be more or less easy be used on different scenarios throughout the complete Napoleonic series it could shift the gameplay to a much different way. I strongly suggest a separate thread for it so to have a place to discus these rules, ask question about it or make suggestion for it as it can only be beneficial to have a dedicated spot for it. I'm also sure that it could raise the understanding of combat in the Napoleonic times, I remember a thread about the H&R project on a different board that was very interesting to read and even more interesting was the PDF for it to read. The intention of this thread is mainly to collect some small easy to use rules that can solve some basic problems or fill some gaps that are not really covered by any game mechanic or optional rule, so overall a much smaller endeavor that what the the Realism&Historicity House Rules are about. Thank you for your suggestion, my dear Chris, I'll do it. You may use the R&H rules as you need in your survey. I'll be glad, if something would help you.